I apologise for the web site being closed for the past few months. and the manufacturing equipment is stored away but we expect this to be finished in early May and then we will set the workshop up again. Welcome! The Dragonfly Company, based in the beautiful Derbyshire Peak District, specialises in the production of the highest quality precision cut tumble polished jump rings made from sterling silver, copper and gold for use in both the intriguing ancient art of chain maille and jewellery design. The jump rings are cut with an extremely thin blade, which leaves a nice, narrow, easy-to-close straight and parallel gap so that the jump rings can be closed almost seamlessly. After cutting, the jump rings are tumble polished to achieve a perfectly brilliant shine. The jump rings are available loose in a range of popular sizes, and also in our growing portfolio of kits. We are also happy to cut bespoke rings to your specifications. 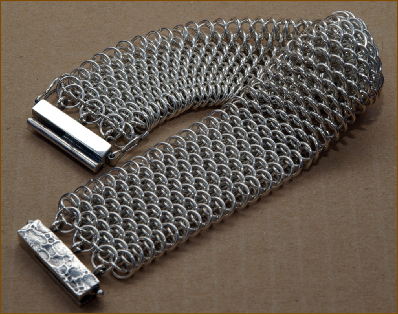 Chain maille workshops are available featuring a wide variety of weaves, from chains suitable for complete beginners to chains more appropriate for those with some mailling experience. We are delighted to see you, thanks for dropping by. If you have any suggestions or comments we'd be very pleased to hear from you. We are dedicated to providing you with the very best possible in customer service. We are passionate about what we do, and assure you of our best attention at all times. Why not join our email list and keep up to date? I have just received my first delivery of rings from you and prior to getting them I must confess that I thought “will they really be that different?” Well, yes they are! Thank you so much. I can’t wait to get home and start making. 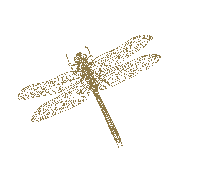 The personal touches of the thank you on the invoice and the dragonfly charm all add to a great purchasing experience. This will be my first order of many.  I just wanted to say thank you very much for the lovely rings and the gorgeous little dragonfly. Your reputation for quality is excellent, and I have to say that the rings are of amazing quality - much better than my own handmade ones! I’m really looking forward to starting my Byzantine bracelet.